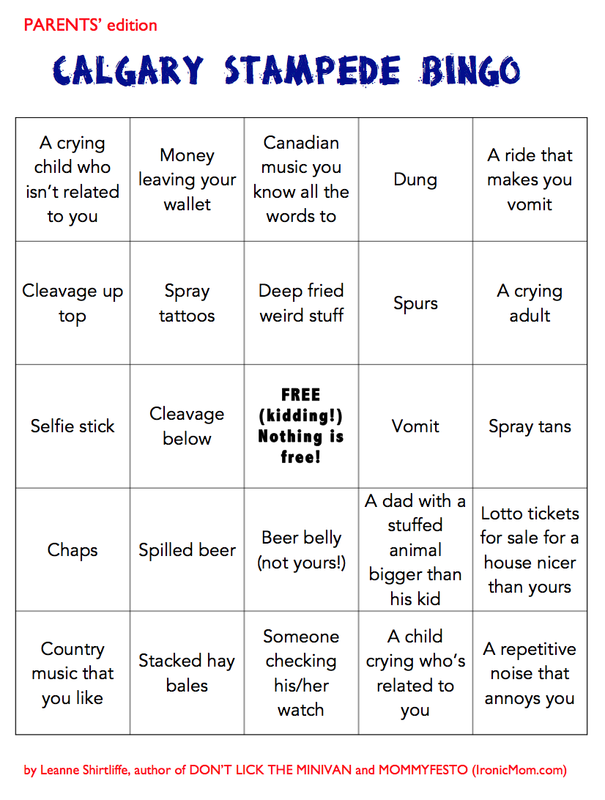 There are many ways to survive The Calgary Stampede as an intact family. Here are five. 1. Leave town. Without your children. I’m on Breakfast TV this morning. Then I’m heading east for a girls’ trip with my mom, aunt, sister, and cousin in Saskatchewan. Yeehaw! 2. 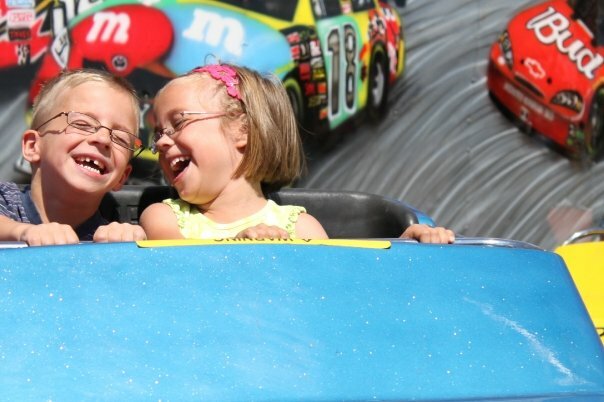 If you can’t leave town, hire a babysitter to stay with your kids while you enjoy the Stampede. Yeehaw! 3. 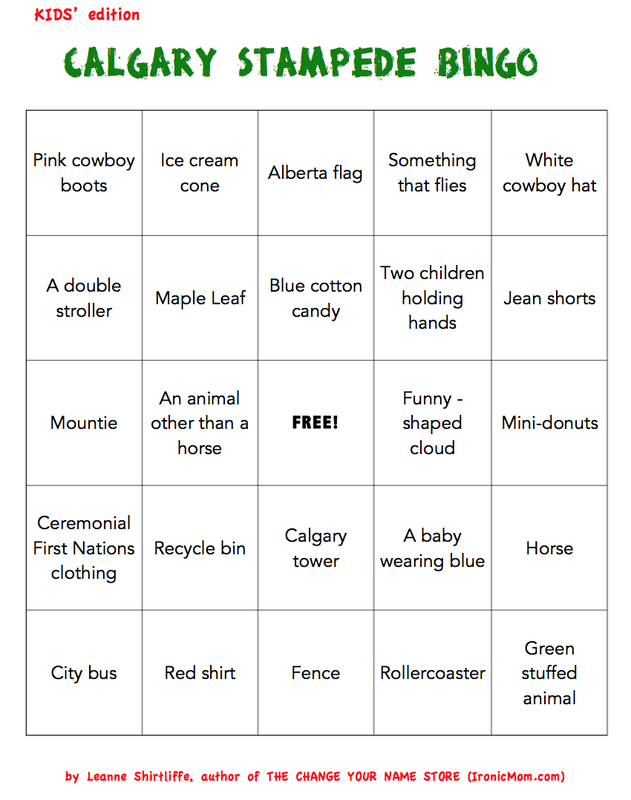 If your kids are young, go to a FREE Stampede Breakfast and tell them that’s the Stampede. Spend the money you saved on a babysitter and dinner. Yeehaw! 4. Failing that, go to The Stampede. It’s actually a lot of fun if you go prepared. This is what I recommend taking: water, wipes, hats, comfy shoes that stay on when you’re on rides, band-aids, snacks that are hard to squish, an umbrella (hail-resistant, ideally), and a budget. Yeehaw! 5. To survive those long line-ups, print out the following bingo cards (one for the kids; one for the parents). Yeehaw!